“Tranquility Pilates Retreat 2018 exceeded all expectations. It was amazing how quickly we all relaxed at beautiful Capofaro. There was good balance of pilates (which Nikki had tailored specially for the individual participants), other activities and relaxation. Initially I thought it was an indulgently expensive trip but actually it was good value because so much was included and there were very few extra costs. Join Nikki at the breath taking resort: “Capofaro" located on one of the seven Aeolian islands in the Tyrrhenian Sea about 40km from the Sicilian coast. 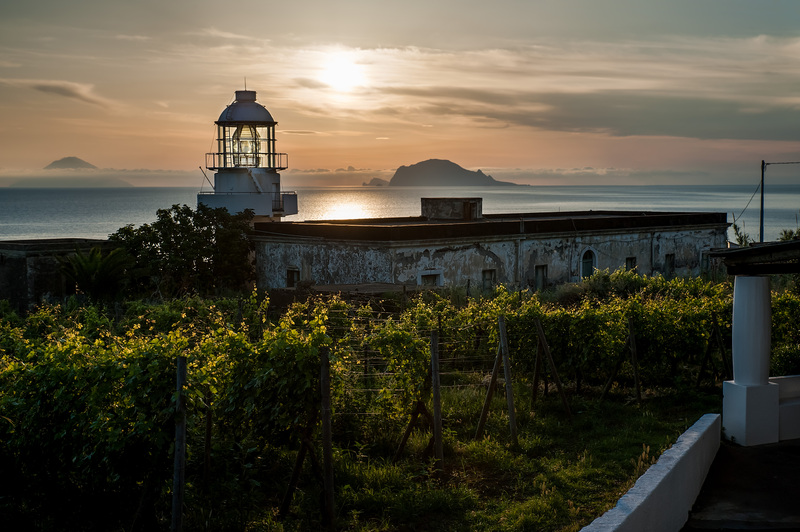 Born from the love for the vineyard and the sea of ​​the family Tasca d'Almerita, Capofaro is a scenic estate on the island of Salina designed for friends, guests and all travelers of taste, in the sign of the best Mediterranean hospitality. Capofaro: an inn surrounded by rows overlooking the sea, where Malvasia, a typical wine of the island, is produced. Capofaro Locanda & Malvasia: unique in its identity, is the place of choice for those who enjoy total nature and relaxation while being immersed in the pristine nature of the island of Salina, the most authentic of the Aeolian Islands . A place of natural experience in a timeless habitats, in direct contact with all the strength and beauty of the island, Capofaro is born of love for the vine, the sea and mountains that surround it. NB: Guests will need to bring their own Pilates mat. Tranquility suggests a thick Pilates mat rather than a thin yoga one. Contact us for a list of Pilates mats we recommend. NB: All scheduled lunches include 2 courses and a glass of wine with each course. All scheduled dinners include 3 courses and a glass of wine with each course. Cranial Sacral Treatment is available on request and is not included in the package. Treatments 80 Euros. Participants are welcome to share their room with a person who is not attending the program. Accommodations and breakfast for the additional guest (max. 1 person per room) is free of charge, whereas other charges (meals, beverages, excursions, pickup surplus charges) will be billed extra. The guest will need to bring their own mat. A thicker Mat is recommended rather that a thin yoga mat. In the case of bad weather and the group are unable to travel to Salina, alternative accommodation in Milazzo will be arranged by Capofaro. To travel to Salina the group need to be at the port of Milazzo by 5.30pm. In the case of delayed travel (flights / traffic etc) Capofaro will organise alternative accommodation in MIlazzo. If the attendees miss their flight and they decide to not travel, there is no refund. If the attendees miss their flight, but take the next flight Capofaro will organise transportation, with the option to charge the attendees extra for the transportation or the accommodation if they don’t manage to reach Salina in time. If the attendees miss any travel connections (car / boat), Capafaro will organise the transportation, with the option to charge the attendees extra for the transportation or the accommodation. Tranquility Pilates Centre, Nikki Chrysostomou & Capofaro are not responsible for personal injuries outside scheduled classes or events. The activities you take up during the “free time” are at your desecration. It is the responsibility of each guest to ensure that you are capable of participating in Pilates exercise. To ensure the appropriate clothing and footwear is worn at all times, particularly when walking around the property of Capofaro and any events that are organised off of Capofaro property. The guest expressly exempts the company from any responsibility for any malfunction of services and/or failure to perform the service for reasons not attributable to negligence or fraud of the company, and thus for example strikes, earthquakes, riots, terrorist attacks, weather conditions of particular disfavour. The Retreat will be confirmed 60 days prior to its starting date if the minimum number of participants will be reached. The customer also expressly exempts the company from all responsibility for harm or damages to persons and/or things that are not attributable to fault or negligence of the company.